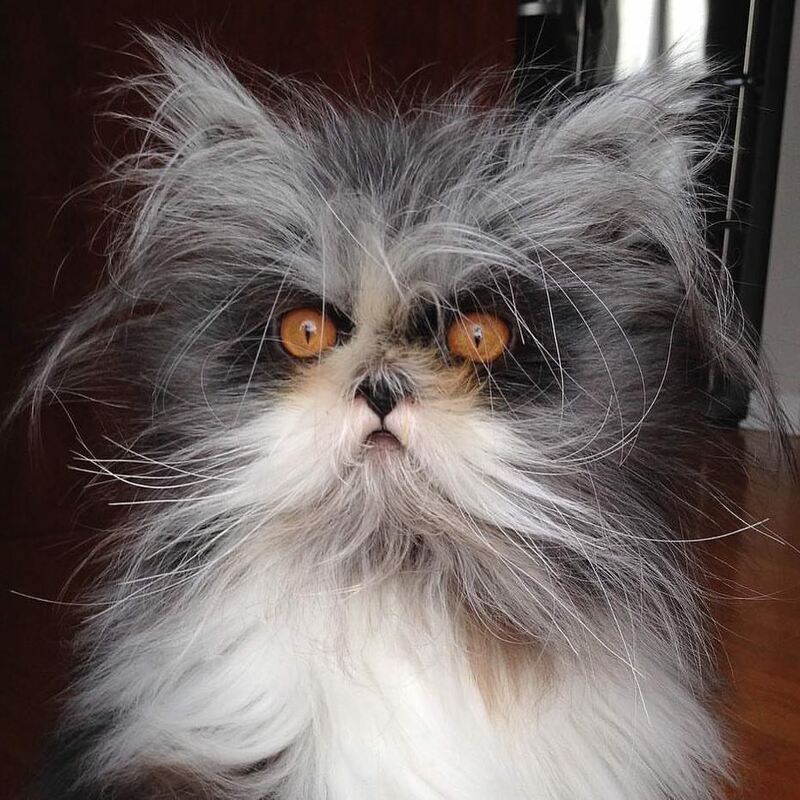 Because the collective internet is about as bright as a string of broken Christmas lights, people are going nuts trying to decide if this is a dog or a cat. At least for me, the eyes were a dead giveaway. That's obviously a raccoon. Just kidding, it's a cat. Kidding again, that's a goat if I've even seen one and I go to the petting zoo every year for my birthday so I've seen goats. Keep going for one more shot of that's definitely a hamster. Wait -- it's a ferret, right? You can see the opossum's Instagram HERE. Thanks to lizzy, who agrees one of the hardest parts of taking care of an unknown animal is what to feed it. That's odd. My internet has been working fine. It hasn't flipped out at all. Possibly in his Halloween costume. I never made the National Spelling Bee finals. Now it's clear why. This https://en.m.wikipedia.org/... was intended. All but the trolls might know that. I hope it's name is Gandolf! The second definition is exactly what I needed to see... my day is complete and it's only 2:36 AM! I know a fizzgig when I see one. Are you dumb?? That is blatantly a Jizzpig! pic 1 is arranged so it almost looks like a dog, but it's clearly a cat.